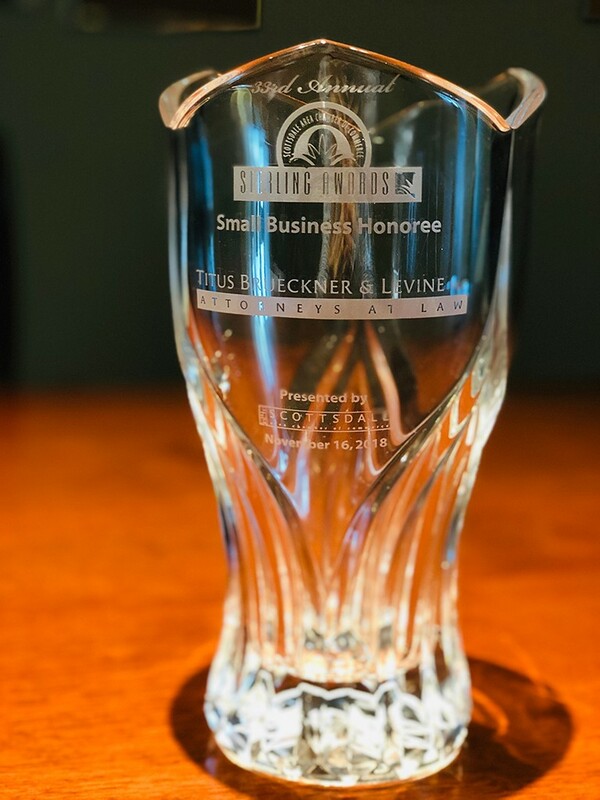 Titus Brueckner & Levine PLC is the proud recipient of the prestigious 2018 Sterling Award for Small Business, awarded by the Scottsdale Area Chamber of Commerce. Our award recognizes our entire firm’s success through innovation, work quality, professionalism, and valuable, sustained contributions to community-oriented projects. We congratulate all of this year’s nominees and are thrilled to be selected as this year’s winner!